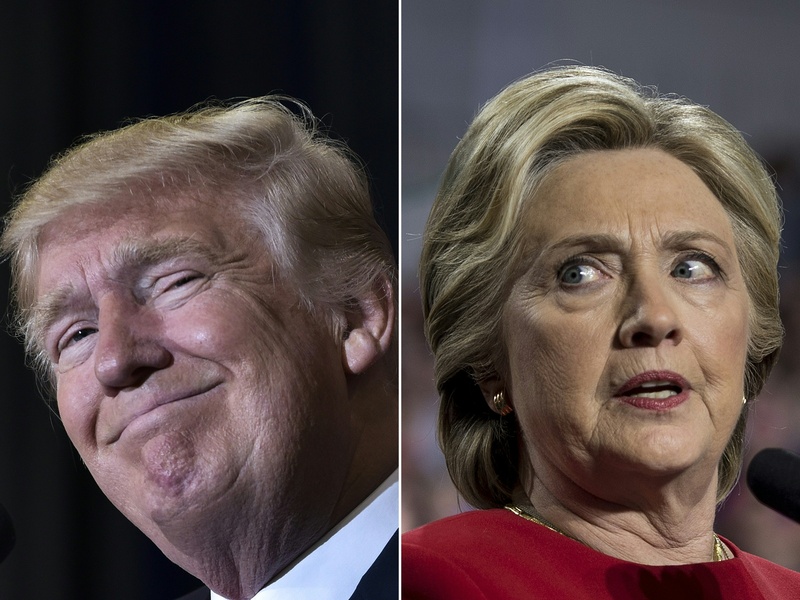 If you're watching the election results live, you may have an uneasy sense of déjà vu as, once again, Florida takes center stage. Florida's election record has long been a frustrating game of wait and see until the last possible moment for both political parties. Thanks to its whopping 29 electoral votes, Florida is the most valuable swing state, and one that could give Donald Trump a path to victory. Right now, Trump has 49 percent of the Florida vote, and Twitter is collectively losing its mind over these maddening results. Thankfully, one intrepid Twitter user, Sha NYK (2-4), found the perfect gif to sum up Florida's election record. While you may feel more like crying than laughing at this point, the spot on gif of Bugs Bunny sawing Florida off the map is impossible not to appreciate. Seriously Florida, why must you put America through this in every single election? Why can't you make decisions? Did the 2000 election teach you nothing? As the country joins together to groan at Florida once again, this gif is perfect to summarize all of your anguished feels. You'd have to go back and watch the Looney Tunes episode "Rebel Rabbit" to find out why Bugs was so annoyed with Florida that he decided to annex it from the United States the hard way — spoiler alert: it involved proving that rabbits aren't so harmless after all — but his drastic measures will feel super cathartic to everyone screaming at their TVs right about now. There's no denying Florida is an important swing state, but it is far from the only swing state. Remember to breathe as the final Florida count comes in, and, no matter what the results are, you can be thankful they'll be unlikely to trigger a recount and Supreme Court case as they did in 2000. For now, dream of a future where Florida will make a solid decision instead of leaving voters across the country biting their nails and screaming internally on Election Night. And enjoy Bugs Bunny, because, if anyone understands what you're going through, it's that rascally rabbit. You can only dream of sawing Florida off the map and watching your frustrations float away, while Bugs can therapeutically make it happen in glorious gif form. Sorry Florida.